Do you know the feeling from coming home from the best vacation ever and you want to share every detail? You hope to convey how incredible the time away was to you and wish that they could have been there? My prayer is that when you read this you feel like you were there with us. I also know the feeling of conveying something with words that probably has no words to describe it, and try as you might, the other person is smiling and listening, but you just can’t do it justice. This may be one of those times but as I’m typing I’m praying for each word. Last night Victoria and I sang at an event called Pink and Pearls. Judy Jones each year has this beautiful program to honor those who have struggled with cancer and survived or gone on to be with the Lord. It’s this beautiful room all decorated pink with candles and every little sweet detail to make you feel special. She also has a group of women who support her with having a sale of very nice purses, shoes, and household/gift items that are donated either new or gently used. You shop and all proceeds go towards supporting a selected person’s treatment or wish. Let me go back to how we got involved with this. Two people had not been able to sing for Judy and she had really been at a loss for who would do this portion of the program. Parish’s mother randomly asked Judy one Sunday (they go to church together) if she had anyone for music and the rest is history. So “randomly” (nothing random in God’s world) we were singing for this event. Judy may have asked two other people, and they would have been great, but God wanted Victoria and Anna there. As we were meeting with her and deciding on songs, Judy was requesting songs from when I was in my teens and twenty something. Not just any old songs, but songs that had significant meaning to me in my life. The joy of practicing those oldies but goodies brought healing to my soul in the coming days. On Friday when I was gathering our sound system and music together I realized that the CD player was broken. We run to target to buy another CD player and hop onto 95 North. We hit a pile up of traffic and in some cases a stand still. The minutes go by and Victoria starts stressing and tearing up. We realize that we just might not get there in enough time. The event was in the far Henrico area. I share with her this relaxation technique I just learned in a workshop and we try it, laugh, and begin to pray to Jesus to take care of it. I wish you could have been in the car. We decided to take Broad street exit and ended up in downtown traffic, made a right on Belvidere and 95 north is backed up onto Belvidere. We continue straight and go through a part of town that poverty exists and we talk about how hard some folks have it, and are deeply moved. Somehow Jesus takes us left, then right, then left again and, “Oh I know this! We are near the Diamond!” We literally get onto 95 North and to my left is the ambulance and people jumping out of it to run to the accident that is directly behind us. I looked into my rear view mirror and I saw this awful accident, rescue, and traffic backed up for miles behind it. We were completely clear. Behind is tragedy, moving forward we drove on to our destination. I was deeply moved by the scene I saw in my rear view mirror, and I prayed for them and praised Jesus for direction. When we got there only 30 minutes later than expected there was no worry because the church had sound equipment set up for the speaker and guess what? The sound system was just like ours! We knew how to work it and use it and moved right into a sound check. When the program began, we started off with Oh Happy Day and danced with each other in the Joy of our Salvation. We sang a round song about hope and supporting each other. What freedom we felt to dance and worship! A woman named Debra was in the room and when I saw her my eyes were drawn to her love and joy. I did not know she was the recipient for the evening, so when she got up to share her heart and wish, I was overjoyed for her. She has cancer and the doctor has given her four months. She kept telling us how incredible God’s love was and how she has felt His love. “He holds you in the palm of His hand, and protects you with His Wings.” Here is a beautiful woman with significant facial scars from her cancer who carries around a little black bag with pain medication and a tube running into her body from the bag so she can have access all the time to pain medication telling us how awesome God has been in her life. Her wish? She and her husband have never had a honeymoon, so she desires to go to Disney with him. She had taken 200 plus kids to Disney a few years ago and had so much fun, but something was missing – her husband did not go with her. I thought how important it is to celebrate your love and seize the day – don’t wait. When Debra shared that Jesus protects us with His wings and carries us, that brought deep meaning to the song Wind Beneath My Wings. In the moment that I was singing that very familiar song Jesus reminded me that He was the greatest most precious thing in our lives. It’s hard to cry and sing at the same time. 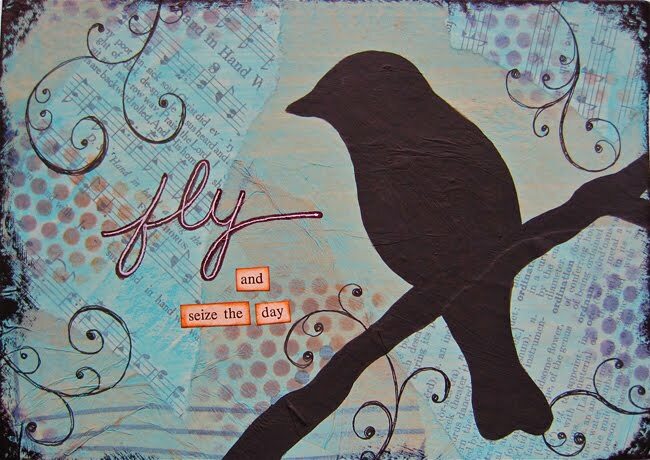 I composed myself and worshiped, thanking Jesus for being the Wind Beneath My Wings. Our speaker Melanie had the most amazing testimony. That could be another post! She was diagnosed with cancer as a teenager and lost her leg. She was given a very small chance of survival. She is a beautiful 40 something, successful in her field, wife, mother, and shared her love for Jesus. She has the most amazing testimony of Jesus being right there with her through it all. She is a ballerina and knows that one day she will dance again with Jesus with both legs and feet in her prized ballet shoes. We sang the song Blessings by Laura Story that lined right up with the message of the night – Yes, suffering, death, darkness are things we deal with this side of heaven, but NOTHING separates us from the love of God. NOTHING! The other clear message is that in the darkest, most helpless hour seems to be the most important, amazing times in our lives. There is a paradigm shift from knowing Jesus, to KNOWING Jesus. You’ve experienced Him in the depths of your soul. You know Him in His suffering. Victoria and I sang together, You Light Up My Life, during an illumination in remembrance of those who have gone on to be with Jesus and for those struggling with cancer. My sister-in-law, Linda, shared with the group that today was her mother’s birthday, and she died of cancer 14 years ago. How did God know to put that event on her mother’s birthday? God wanted to light up her life with His love and tender care of her. The side conversations throughout the night were just as moving. I was reminded over and over again of the brevity of life, be joyful, seize the moment, the days, don’t sweat the small stuff, Jesus is there, this body is just a shell, live out your faith, we all die one day but God knows our day, so embrace life with a passion until that time, there is a table in heaven with our loved ones that have gone on before us, in suffering we know Him, Just give me Jesus, shout your age out – be happy you are a year older and thank Jesus, laugh, love, don’t judge, beauty is Jesus in you not what you look like, miracles happen, hope is alive. Gloria was a wonderful friend I met last night. She danced and shouted the joy of the Lord with me! We played fun songs like Lean on Me and Respect by Aretha Franklin and danced. What a fitting name for her – GLORIA! Judy and her family loved on us with gifts so much I was overwhelmed. She poured herself into our lives. We certainly were not the focal point of the evening, but she made sure we felt loved in so many ways. Thank you Judy! We lingered, because no one wanted to leave this very special night. Victoria and I were overjoyed on the way home and kept talking about the Spirit being there. It opened our eyes to our surroundings. We were traveling the roads pretty late and saw homeless people laying on the pavement at a gas station covered up in their make shift bed for the night. I woke up with the Spirit still working. Please pray for Debra. She leaves for Disney this week and said she doesn’t know when she will come back. She is headed down there with her husband and plans on staying until she has to come home it sounded like. Four months. The doctors have given her four months. What would you do if you only had four months to live? I believe that God can heal her. I even prayed for Him to heal her last night before our very eyes. I’ll never stop believing in miracles. But, I beg the question – What would you do if you only had four months? Would the dirty house matter? Would you fret about your weight or wrinkles? Would your spouse’s irritating habits irritate you still? Would the caring of the children be drudgery? Would that grievance in your heart be so demanding, or would you see it with different eyes? I don’t think God wants us to live our lives feeling as if we are going to die in four months, but I do think He desires for us to seize the day and see each day as precious, an opportunity. Even in suffering or sadness this knowledge is there. He understands our tears. He understands our anger and hurt. We don’t have to feel guilty for the suffering, but embrace Jesus who is in the suffering with us. This woman makes collages! They are beautiful! Check her out! Seize the day Victoria! Jesus has GREAT things in store for you! Your story and all the Jesus’ touches goes around with me in my heart. You always touch a part of my heart with your life story. WHICH I WILL meet with you one day and talk it out again. God knows the timing…. Anna, I agree. It was an amazing evening with amazing people! Thank you, Anna and Victoria for the gift of your beautiful spirit filled voices. I am picturing Debra enjoying her time at Disney, and it makes me smile. Jesus is smiling at her, too, I know! I picture her smiling too! I’ve been praying so much for her and her family. Thank you for the encouraging words! We had such a wonderful time singing. It has been a long time! Too long! I wish we could sing more!!!!!!! It was a glorious evening with Jesus. It was an amazing evening and the spirit of our Lord was there with each and everyone of us. Debra was an inspiration to let the Lord lift you up in challenging times and Melanie was an inspiration to cancer surviors everywhere. I could not have imagined anywhere else I would have wanted to be celebrating Jesus and my mom’s birthday. Where this is usually a difficult day for me, this evening reminded me of a the special moments shared between mother, daughter and the holy spirit in more ways than one. Thank you to Judy for this wonderful event that touches so many hearts and to Anna and Victoria for their beautiful voices to praise Jesus and to all the survivors of cancer who show us how strenght and prayers persevers over all:) The Lord always knows what is needed and when and we praise him for his Glory. What a touching night we will never forget! The Holy Spirit is so amazing how He is in the room working in each of our lives but in different ways. He knows what each one of us needs. It’s the same but different – which makes Him such a personal God.